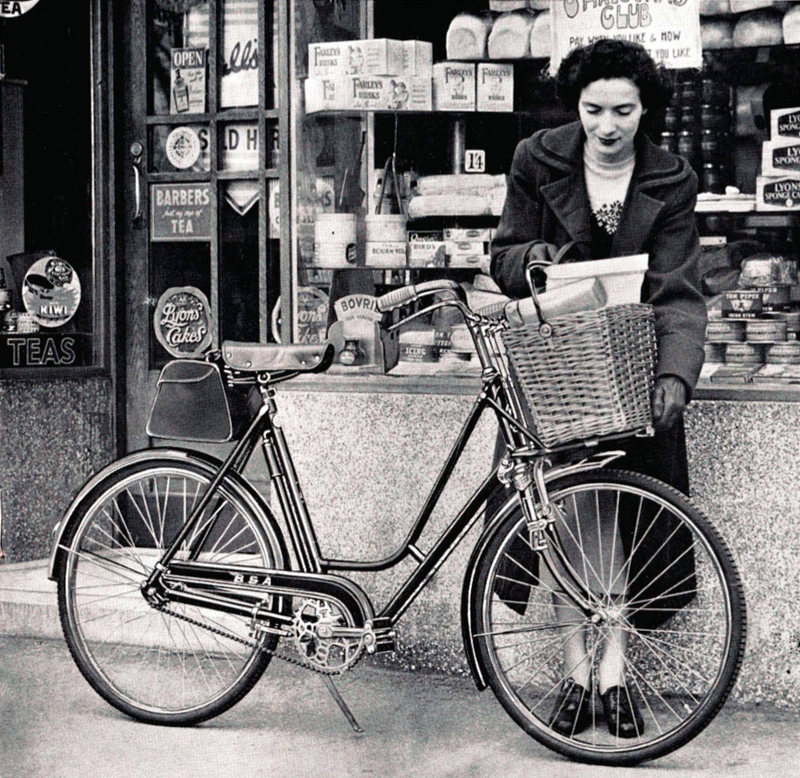 BSA’s ‘Safety Shopping Model R9 was ‘the only bicycle specially designed with the woman shopper in mind. 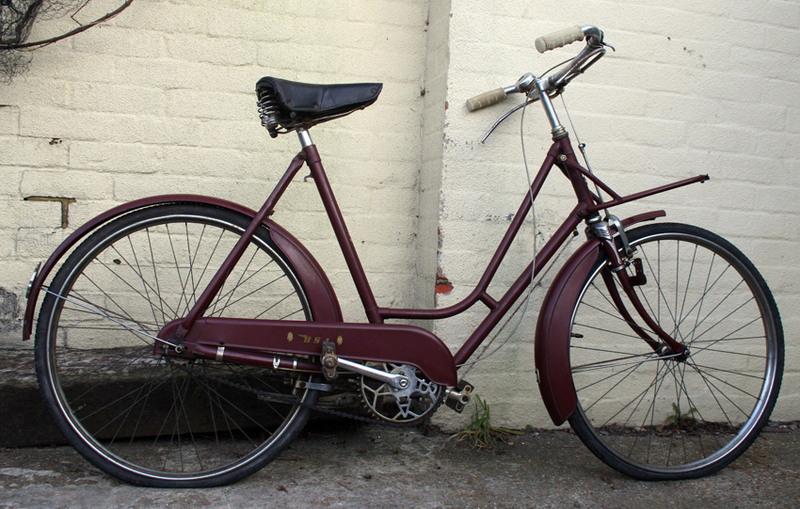 Low wide-loop frame and 24″ wheels make mounting and dismounting easy, and allow comfortable foot-on-ground position in traffic. 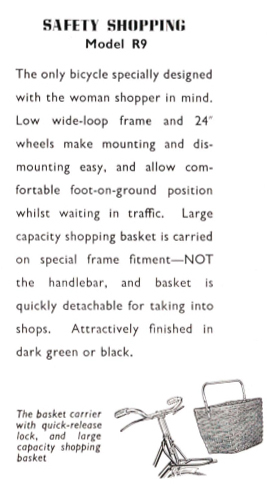 Large capacity shopping basket is carried on special frame fitment – NOT the handlebar, and basket is quickly detachable for taking into shops. 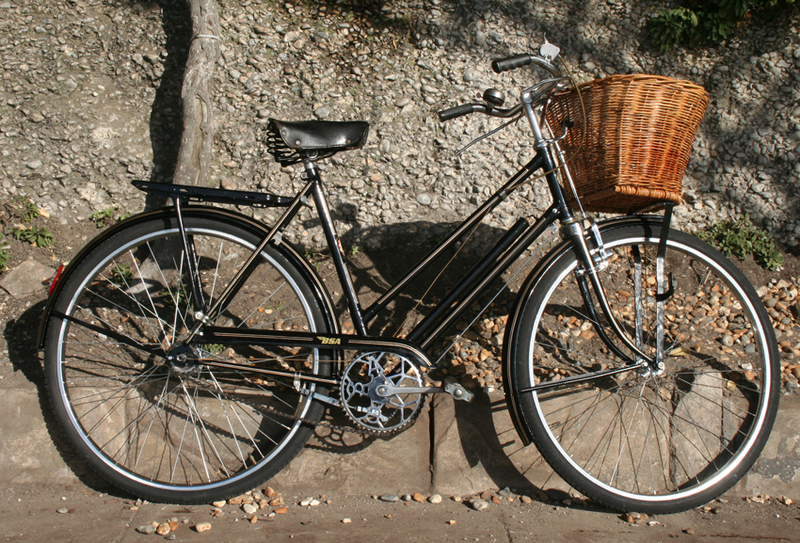 Attractively finished in dark green or black. 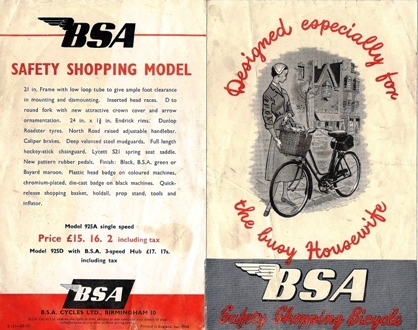 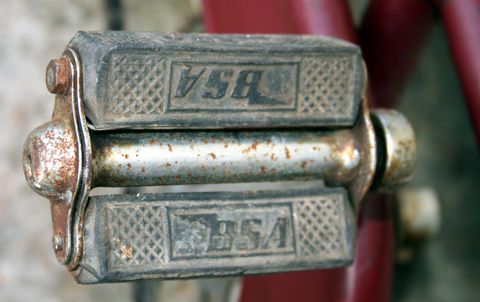 The BSA Safety Shopping bicycle was another interesting concept that accentuated the difference between postwar America and Great Britain. 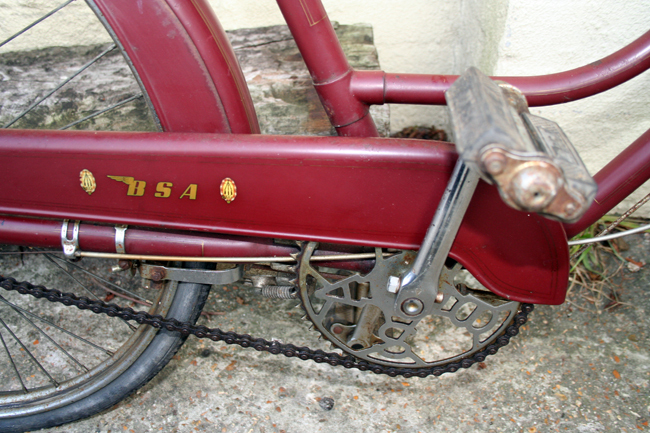 Although, of course, in reality there were very many poor people in postwar USA who used bicycles to get around, the image of America we had in Britain at the time was precisely that proposed by Hollywood and the American advertising industry – that everyone owned a car, a nice house and a gigantic refrigerator. 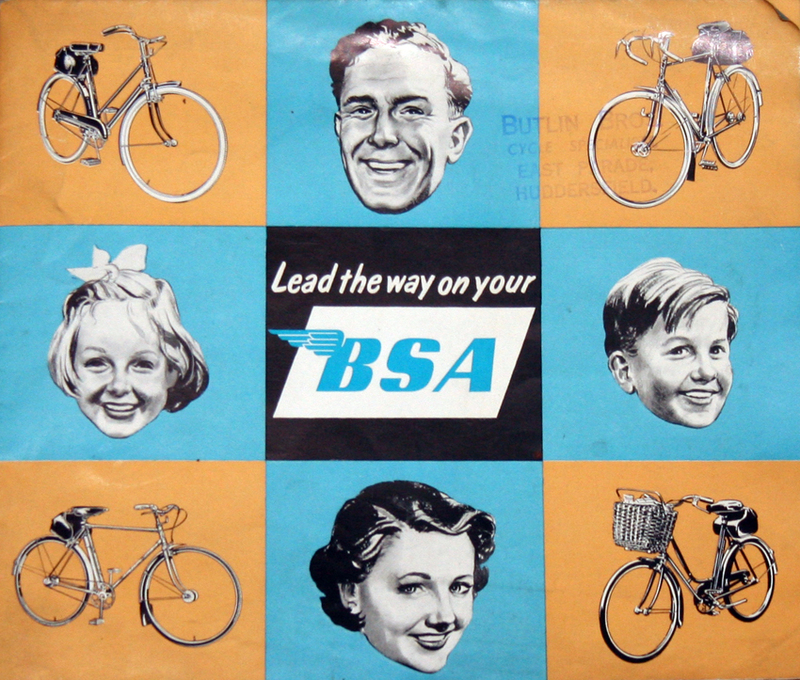 While in Britain our mums used BSA Safety Shopping bikes to get provisions from the grocer’s and fruit and veg at the market. 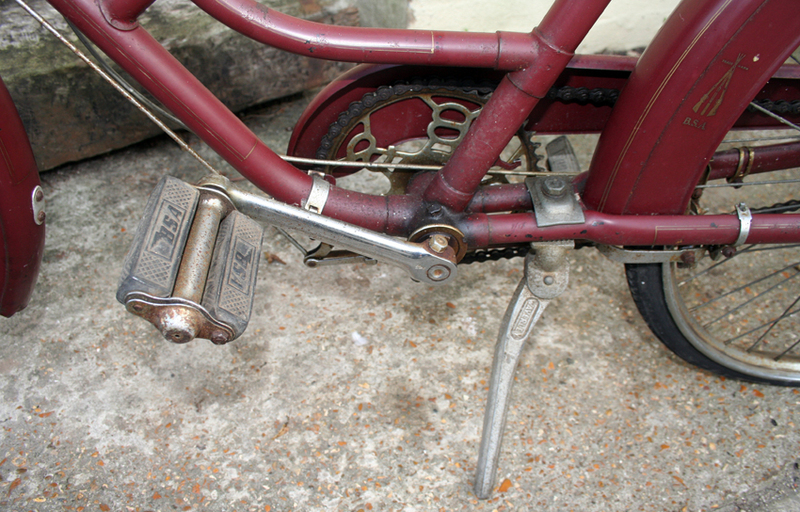 The novelty on this bike was the easy way to release and attach the shopping basket. 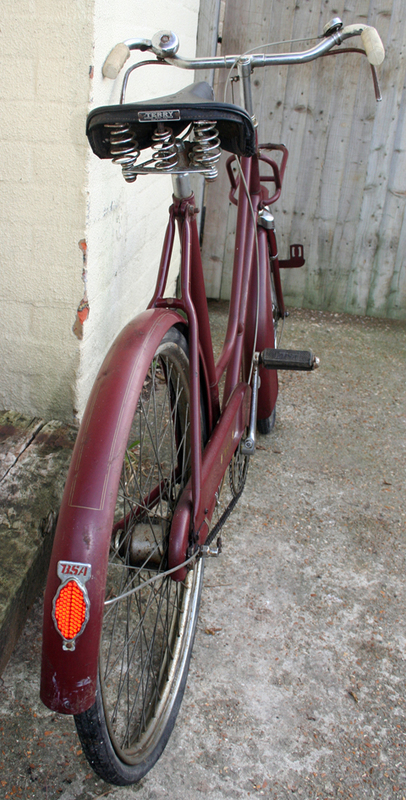 (I’ve mislaid the shopping basket for the one featured here, but when it turns up I’ll fit it and update the pictures). 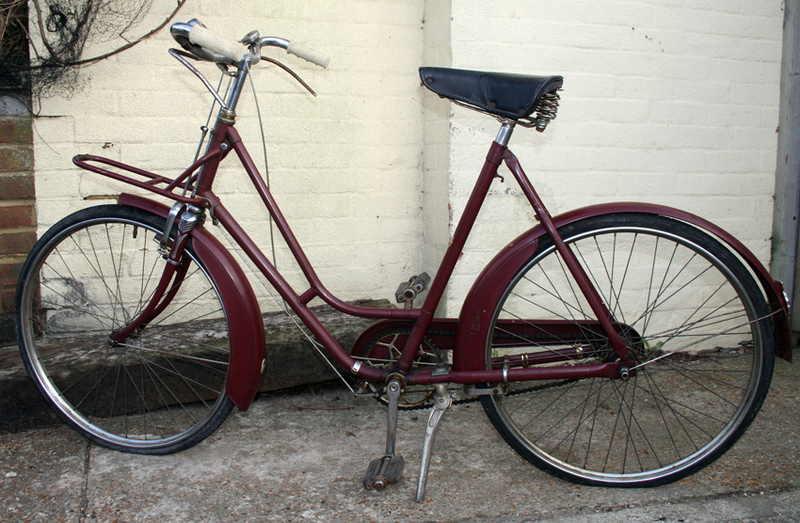 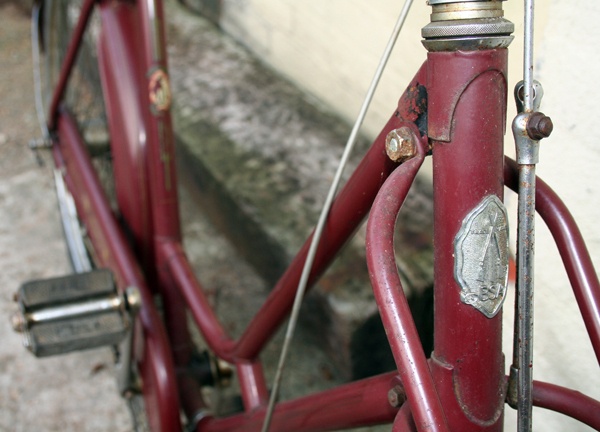 The bicycle featured here is a later example, with attractive weathershield mudguards and deeper chaincase.